Mission Guatemala : Latest News : Newsroom : Latest News : Kids with a Spark in Caliaj! We are excited to welcome the community of Caliaj as the newest member of Mission Guatemala's early childhood nutrition program, "Niños Chispudos" (Kids with a Spark)! The Chispuditos program provides families with young children with a soy/corn-based "atol," or porridge, that is specially formulated to combat malnutrition in children aged 6 months to 6 years old. 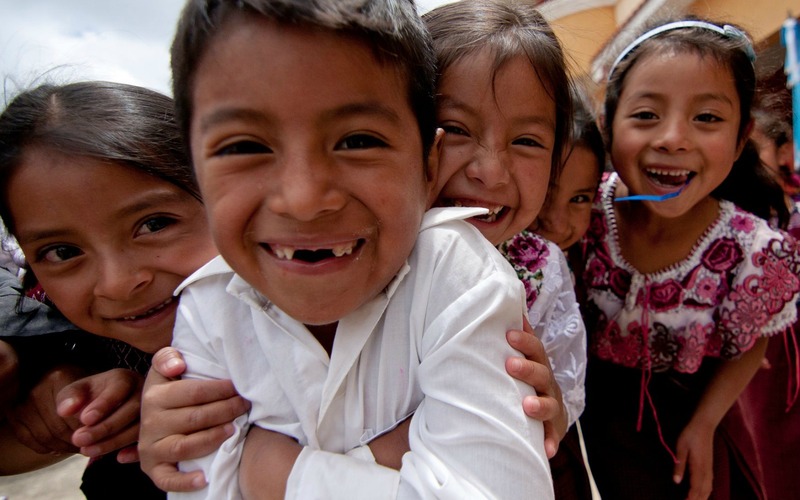 In addition, each child enrolled in the program receives free medical care at Mission Guatemala's medical clinic! After a preliminary meeting with the community in early December to educate families about the "Niños Chispudos" program and to answer any questions they might have had, all parents with children of qualifying age were invited to participate. This past week, to officially begin the program, members of Mission Guatemala's staff traveled to the community to take initial height and weight measurements, as well as to check hemoglobin levels. These measurements will be taken at intervals throughout the year to monitor each child's growth and to check for anemia. Caliaj joins 5 other communities from the municipality of San Andrés Semetabaj that are already enrolled in the program, bringing the total number of children receiving Chispuditos each day to 128! We are grateful to you, and to each and every one of Mission Guatemala's supporters, who make programs like this a reality for the communities we serve in the San Andrés and beyond! To learn more, or to help support this and other Mission Guatemala programs, click here!